Two weeks ago today, I posted about the changes at Photobucket and how they could affect my blogs (including this one). This morning, I finished transferring all images for posts made in 2011 to my own server. Given that I started the blog on August 29, 2011, that represents less than a half-year of blogging – and just 104 posts out of more than 1,200. So there’s still more to do – a lot more. But it’s a start, and I now have a procedure that’s working for me. Just thought everyone would like to know that at this rate, there should be no service interruption at Port Rowan in 1:64. Earlier this month, some friends and I visited Kaj and Annie Pindal to spend a few hours in the afternoon riding the delightful 15-inch gauge, ride-in electric trolley line that runs in their back yard in Oakville, Ontario. While I could go on at length about how Kaj built his own equipment, powered mainly by motors liberated from electric lawn mowers, made his track from fence rails, switched from trolley poles to bow-collectors which he fabricated himself, and can use the railway to take the household garbage and recycling to the curb… I think a video is the best way to express the magic that is the Pindal Electric Tram. Thanks, Kaj & Annie: What a wonderful day out! The editor of a hobby magazine emailed yesterday to ask for a vertical-format photo to use as a potential cover for a feature I wrote. I spent the next several hours composing and shooting 13 potential covers. Cover shots are tricky. First, the vertical format is really challenging for almost all layout photography. We normally view our models (and our layouts) from the side. But the vertical format for a cover means it makes more sense to shoot along the layout instead of across it. As anyone who has done layout tour photography will know, that creates all sorts of challenges. For example, Even if you’re just focussing on a couple of models in the foreground – just a few feet in front of the camera – you may have an expanse of sky that’s going to need lighting. In the case of the above photo, I had to light up about 15 feet of backdrop in Port Rowan, plus the background at the west end of St. Williams – about 25 feet away from the lens. Another issue is the nature of trains themselves. Our model trains are low (extending just a few inches above the rails) but long (running for several feet). So shooting a train side-on is impossible when taking a vertical format photograph. Even shooting even a single piece of equipment side-on is tricky. For a vertical photo, even if the model fills the frame side-to-side, there’s going to be a ton of boring sky above it. This is another reason to build realistically tall trees. They help add interest to the photo. It helps, too, that on a cover, much of the top of any photo will be covered by the magazine’s name/logo. There will also be several call-outs on the cover – “Gluing things to other things: Page 48” and so on – that help hide less desirable elements in the background of a photo. In my case, I have a sharp vertical line where the backdrop curves away from Port Rowan to enter the Lynn Valley, but cloning some trees in PhotoShop, combined with the logo and call-outs, will make that disappear from the viewer’s perception. The logo, the call-outs, and other items like the location of mailing labels and UPC codes are all things one needs to think about while composing a cover. And that’s before any considerations about scene composition and engagement with the casual viewer. A cover needs to grab attention on the rack – whether it’s in a hobby-friendly location like the local model train emporium, or in an agnostic location like a book shop or grocery store, where it’s competing not only with other model railroading publications, but also all those other magazines vying for our money. I know my layout photographs well, because I’ve found many interesting places to shoot images on it (which I’ve shared on this blog). But I’ve rarely done vertical format photos and I was surprised at how difficult it was to find an interesting location to shoot when the camera was rotated 90 degrees. We’ll see how well I did if/when my shot is used on the cover. Beyond that, I will wait until the article comes out before I reveal what it’s about and what magazine it’s in. At that time, I’ll also share some of the rejected cover shots. I’m in the process of reviewing my entire blog (Thanks for that, Photobucket!) and I’m finding some outdated/broken links. Realizing that fixing every link on the blog will be onerous, I’m considering simply dropping links for those sites I list fairly frequently. I’ve reviewed my “Links” directory on the right hand side of the home page, and have updated and re-organized those so they’ll be easier to use. I’ll be adding more links as I encounter them while reviewing my blog. In the future, if a link breaks, the first place I’ll fix it is in the directory – not necessarily in all of the posts. “What the Photobucket?” – that’s an expletive being used by millions of people around the world right now. I have been a Photobucket customer since September 2001, and have used it since I launched this blog to store and manage all the images I use here. This is called “Third Party Hosting” – and it could spell the end of this blog. 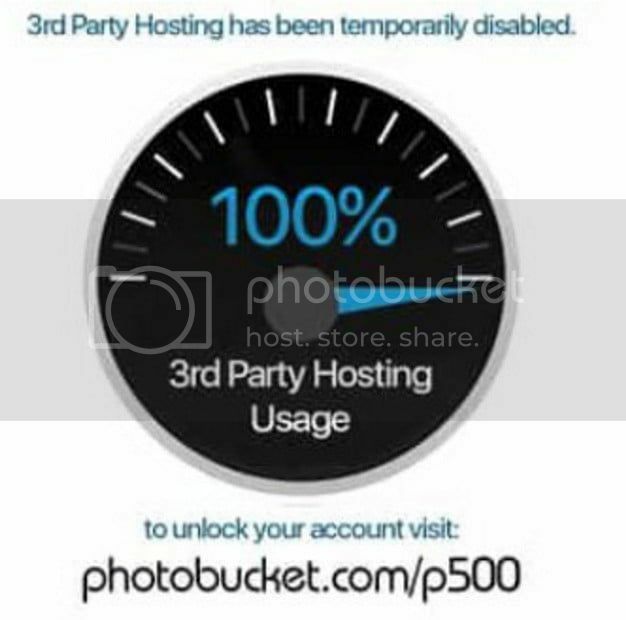 On July 6th, Photobucket eliminated 3rd Party Hosting for all of its non-paying users, and made 3rd Party Hosting an exclusive feature of its top-tier, commercial subscription plan. Non-paying customers were cut off on July 6th. All of their links broke. The photos are still there – but they can’t be embedded and the links have broken that allowed already-embedded images to display elsewhere. The company announced the changes in a news release on its blog. Another blog posting provides further information. I happen to be a paying user. I pay Photobucket $30 per year for extra storage – which is the only reason you’re still seeing the photos on my blog. All paying customers, including yours truly, have received a grace period – until December 2018. Basically, I have a year and a half to decide whether to subscribe to the top-tier commercial plan – the Plus 500 – or to move all of my photos to another picture service (or my own servers) and edit all of the links in my blog’s coding. The Plus 500 plan costs US$400 per year. I can’t justify US$400 per year for a blog that generates no revenue. I already pay a fair bit to my ISP each year to host the web site (The Model Railway Show), which includes the hosting service for this and other blogs I write. Perhaps Photobucket will realize that its customers who make no money off their photos are willing to pay something, but can’t justify US$400 per year. Perhaps Photobucket will adjust its rates for 3rd Party Hosting. 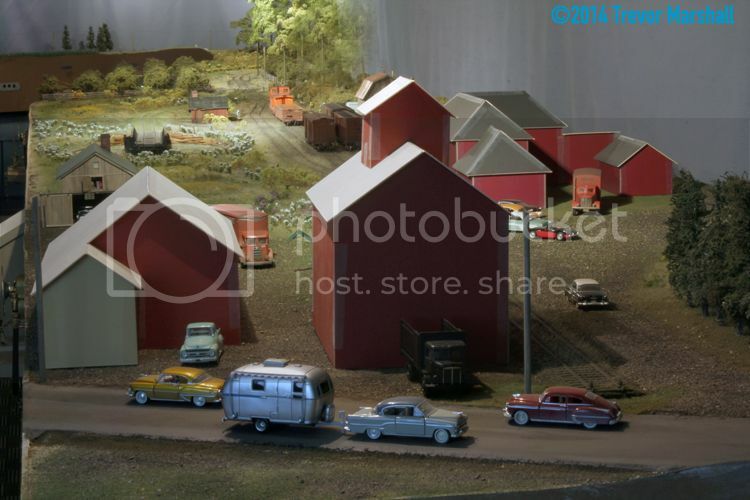 As of this writing, I have 3,029 images stored on Photobucket – including 2,222 images directly related to “Port Rowan in 1:64”. In many cases, I have used the same image several times on the blog – for example, as the link from a new post to an older one. (“Click on the image to read more…”) So, moving the images to another service and editing all of the links will be a huge undertaking. I’m not sure I have the energy to do that. It’s a task that would be measured in weeks, if not months. I have more than 1,200 posts on this blog – if I update three posts per day, on average, I’ll finish migrating the blog over from Photobucket before the plug is pulled on 3rd Party Hosting. While the manner in which Photobucket handled this change is pretty cruddy, I must admit I sympathize with the company’s plight. It’s a for-profit enterprise, and never pretended to be anything else. In my professional life, I expect my clients to pay for my services – so it would be hypocritical of me to expect Photobucket to provide its services for free. It’s one of the reasons I’ve been a paying customer for so many years. Those in charge at Photobucket thought they had a workable business model, through a combination of ads associated with each gallery and modest subscription fees. Obviously, it doesn’t work: ad-blocking software and 3rd Party Hosting links have killed the revenue stream from advertising. The company notes in its news release that 75% of its costs arise from non-paying users employing 3rd Party Linking. So, the company had to do something. As a result, I predict that most of those non-paying users will flee Photobucket for the next “free” service. They’ll abandon most of their photos, because they’re not really of value anyway: in the case of amateurs, the photographer has already shared the image and moved on. In the case of professionals – well, they rolled the dice on a free service. You get what you paid for. Still, an exodus will me that Photobucket will become the service that stores more than 15 billion images that nobody looks at anymore. The real question is, do I have until December 2018 to decide what to do? Or will the exodus force Photobucket into the Internet’s dustbin before then?